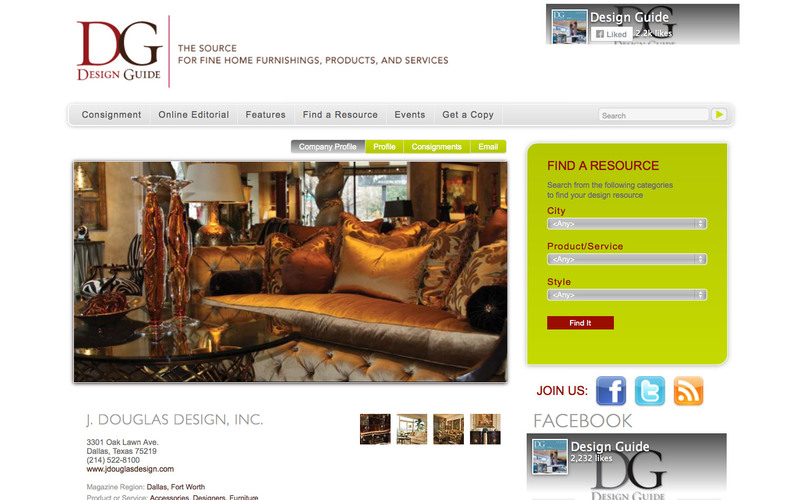 The Design Guide is an online magazine which connects users to interior design businesses and promotes the Design Guide print editions. 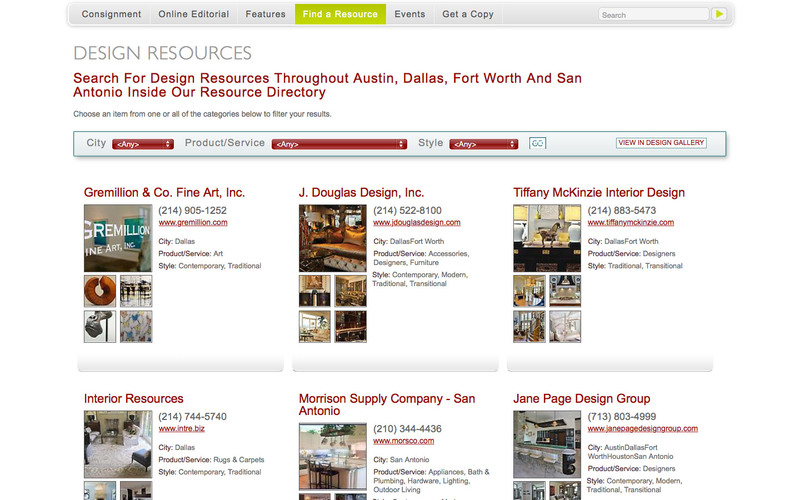 The “Find a Resource” section offers a sortable gallery showcasing each company’s photographs, contact information, and descriptions. 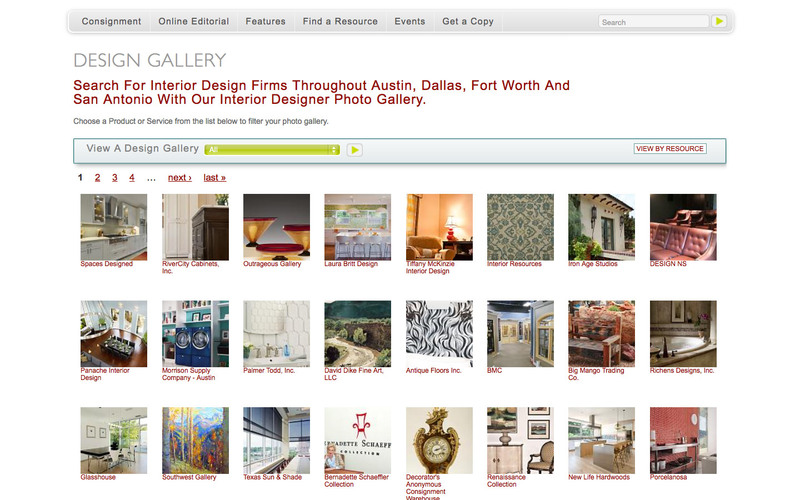 The site has several interior design blogs, including Features and an Online Editorial. 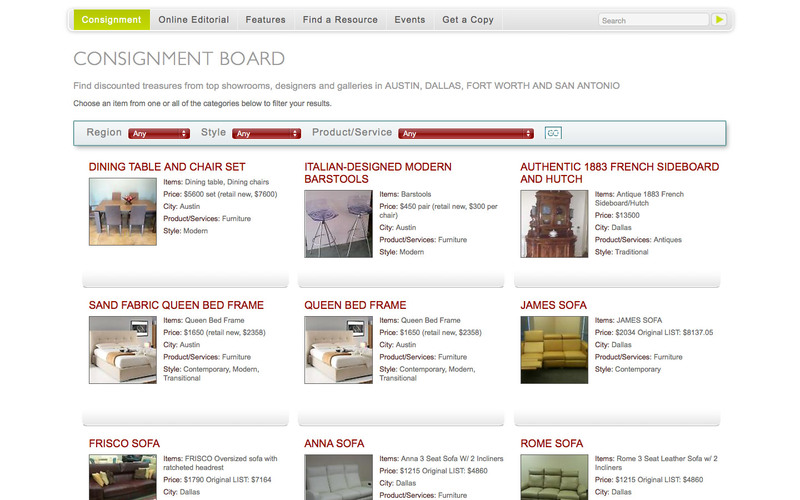 There are many custom tools including a consignment area for companies to sell goods, banner advertisements, and user sign-up and tracking tools to see who visits the company pages and advertisements. COPYRIGHT ©2019 Peter King Design, LLC. All Rights Reserved.